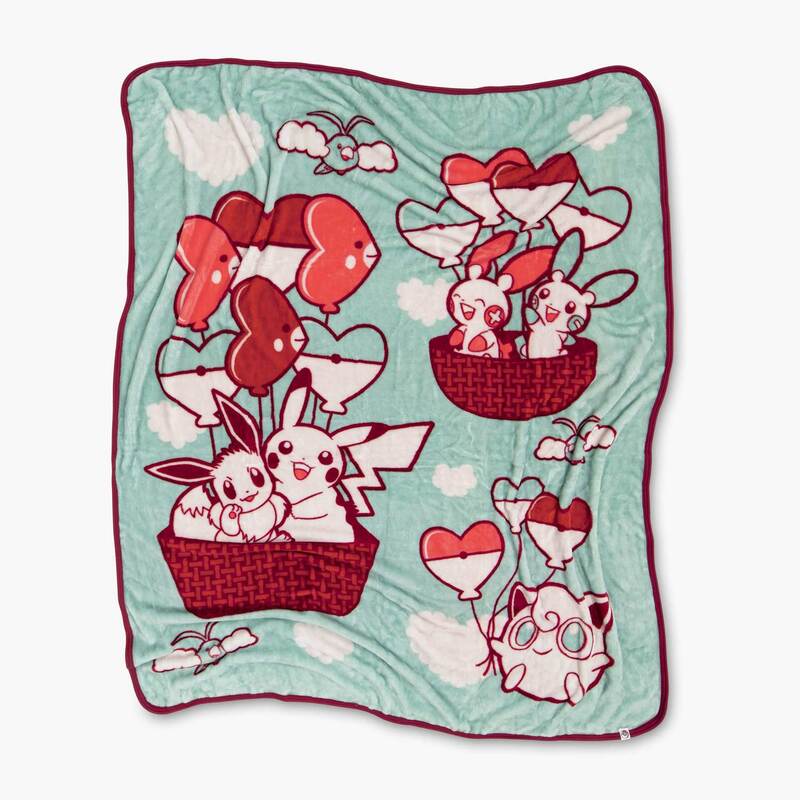 Pikachu, Eevee, and friends take to the sky to celebrate friendship on this sweet throw blanket. 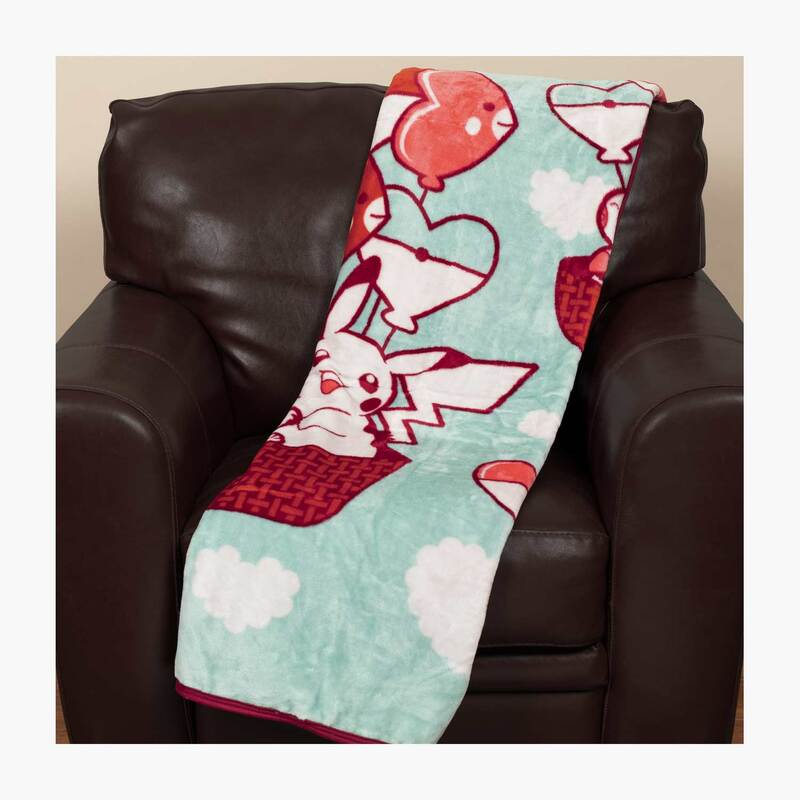 High-quality fleece is fuzzy and great for keeping warm on the couch or even outdoors. 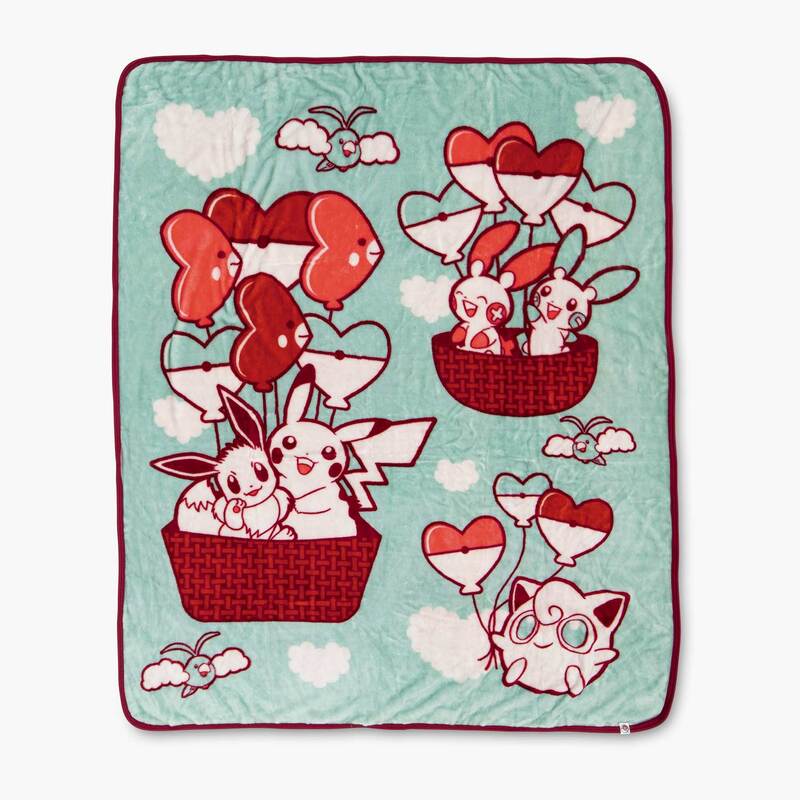 Cuddle up with cute Pokémon: Pikachu, Eevee, Jigglypuff, Plusle, Minun, and Swablu!